I've made a lot of bread. A lot of sweet rolls. A lot of buns, rolls, bread sticks and flatbreads. 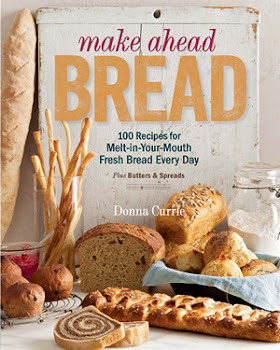 Between my regular baking for personal use, baking for holidays or to bring to dinners or parties, and baking for my book and this blog, I'll bet that I've baked at least a thousand bread-like things. Although I like the bread I bake better than most store-bought breads, I've gotten used to them. I don't think of them as all that amazing. Even cinnamon rolls. I like them. Sometimes I like them a lot. Still, they're just cinnamon rolls. But once in a while, I come up with a bread recipe that's just ... ahhhh ... so good. Special. Different. That's how I felt about this one. The apples took these cinnamon rolls to a whole different place. Like apple pie and buttery cinnamon rolls all it one bite. These were sweet enough, but the apples brought some tartness as well. The cinnamon brought its richness and earthiness. They were just about perfect. For those who like more sweetness, it's easy to drizzle this with a little icing - or a lot. Just mix powdered sugar with enough water to make it pourable, and you've got icing. Add a splash of vanilla, if you like, or leave it plain. As far as the cinnamon, I received a large (very large!) bag of cinnamon from a company called Flavor of the Earth. They tout their Ceylon cinnamon as being healthier for you than other types of cinnamon. I don't know about that - you can look it up for yourself. All I know is that if you use a lot of cinnamon, buying a 1-pound bulk bag is a heck of a lot cheaper than buying small jars of it. The cinnamon comes in a re-sealable plastic bag, and it's actually pretty sturdy. But I prefer other storage methods. I poured it into a quart canning jar. That's a LOT of cinnamon, right? And a pretty darned good bargain. Combine all of the dough ingredients (except the butter) in the bowl of your stand mixer fitted with the dough hook. Knead until the dough is smooth and elastic. You could also knead by hand, but to be honest, trying to knead a whole stick of butter into the dough isn't a whole lot of fun by hand. Add the butter and continue kneading until the butter is completely incorporated into the dough and it is smooth, shiny, and elastic. Cover the bowl and set aside until the dough has doubled in size, about an hour. While the dough is rising, make the filling. Combine the sugar, butter, cinnamon, salt, and apples in a heavy bottomed pan. Cook, stirring as needed, until the sauce has thickened to a syrup. Transfer to a bowl and refrigerate until needed. Spray a 9x13 baking pan with baking spray. If you've got a pan with a cover, that's a plus. Cut the 1/2 stick of butter into pieces and scatter them on the bottom of the pan. When the dough has doubled flour your work surface and heat the oven to 325 degrees. Turn out the dough and form it into a rough rectangle, then use a rolling pin to roll the dough to approximately 18x14 inches. With one of the short ends facing you, sprinkle the graham cracker crumbs over the surface of the dough, leaving about an inch uncovered on the far end of the dough. Now, scatter the apples and sauce over the top of the graham crackers. Starting with the short end closest to you, roll the dough, jellyroll-style, towards the far end. Don't roll tightly - keep it loose. Cut the roll into 12 even pieces, then arrange the pieces in the prepared baking pan, with cut sides up and down. Cover the pan with plastic wrap and set aside to rise until the rolls have doubled in size, about 30 minutes. Or, if you prefer, cover the pan and refrigerate overnight, or up to 24 hours. The rolls will rise during their time in the refrigerator. When the rolls have risen, remove the plastic wrap and bake at 325 degrees until the rolls are nicely browned, about 35 minutes. If you're baking refrigerated dough, add another 5 minutes to the baking time. Remove the rolls from the pan and let them cool on a rack. Serve warm or at room temperature. Drizzle with powdered sugar icing, if desired. *I suggest Red Star Platinum, but you can use your favorite yeast. Disclaimer: I received the cinnamon from the manufacturer as a sample.